With only four weeks of school left, exam season has officially begun, which means I’m spending every last second of my free time studying, making homework, and stressing out about school. This is also the reason why I didn’t blog for a few weeks (oops), but on the upside, summer holiday is around the corner and with that comes loads of free time to dedicate to, you guessed it, blogging. Today I’m back with a second installment of ‘What? To give who?’ Where I recommend which books to give to certain people, including the midlife crisis person and the cat lady. Let’s get started, shall we? Everyone has that one midlife crisis person in their life. It might be uncle Tim, who recently bought a Ferrari and moved to Italy with his new, 23 year old wife. Or it might your next door neighbor, who opened a salad bar based on kale last week and gives mindfulness classes on how to find your inner happiness. And if you haven’t got a midlife crisis person in your life, it’s probably you. But don’t stress, because I’ve got an awesome series of books to recommend you. Namely, the Ladybird Books for Grown-ups. There are eight titles in this series, ranging from Mindfulness to The hipster, and even The mid-life crisis is included. I recently noticed that a very high percentage of bloggers are cat people. Now, there isn’t anything wrong with that, I’m a massive cat lady myself, but all I’m saying is that every (potential) cat owner should better be prepared for the worst case scenario. What if your cat is plotting to kill you, for instance? Good thing I recently found the perfect book to educate you on such scenario’s, namely: ‘How To Tell If Your Cat Is Plotting To Kill You’ by Matthew Inman. ‘How To Tell If Your Cat Is Plotting To Kill You is a comic books, which I first read two years ago (I think), and over the years I keep rereading it every few months simply because of the fact that it’s so very funny. I recommend this book the every person who considers getting a cat, or already has one. You know, just in case. Okay, that was it for today! I hope you guys enjoyed this blogpost, despite it being a little short. Please leave a comment down below with your favorite books to give, and who knows, I might use it for the next part of ‘What? To give who?’. I’ll try to be back with another blogpost soon, but since I’m being smothered by exams at the moment, I’m not quite sure when that’ll be. May is my favorite month of the year. The weather finally gets warmer, school starts to chill out a bit, and (most importantly!) my birthday is in may! I’m going to be turning fifteen this year , so that, and a few ideas scribbled in my blogging book, inspired me to write this post. I’m going to list the best YA books to give to certain people, varying from the younger YA reader, to the dystopian lover, and even your dad. This post is for those who simply don’t know which books to treat your friends to, but if you are looking for some awesome YA recommendations you are in the right place as well . Also I kind of hope my parents will draw some inspiration from this post, you know, since my birthday is coming up and all. Okay, so there is this one kid you don’t know much about besides the fact they carry a bow and arrow everywhere they go, and frequently shouts ‘IF ONE OF US BURNS, WE ALL BURN’. I can tell you now, that kid (or adult) is probably a dystopian lover. Chances are they already have read similar titles to The Hunger Games, like Divergent, the Shadowhunter chronicles, and maybe even Twilight. 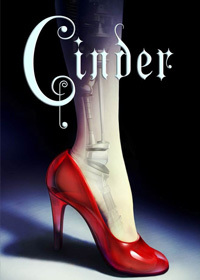 If you want to go with a book as present, I recommend you get him/her Cinder by Marissa Meyer, or if he/she is a little older 1984 by George Orwell may make an interesting read. If you don’t feel like giving them a book, you could always go with a weekend glamping in a forest, and if they fit the description above even a little, I’m sure they’ll love it. We’ve all been there, it’s the day before father’s day, and you forgot to get him a gift. Ultimately you want give him a book, but the only genre you know much about is YA, and you don’t think your dad is waiting for a book about lipgloss, paladins, and teenage girls. I recommend you get him Ready Player One by Ernest Cline, it’s one of my favorite books ever, and it’s a sci-fi about virtual reality and the eighties (so everyone who’s into tech and older than 30 will definitely dig it). Also recommend by my own dad, who suggested I’d add this category when he saw what I was writing, thanks dad. Let’s say you have a younger sister (or brother) who only recently hit YA age, and doesn’t know that much about the genre yet. This is your chance to get them into reading and join your favorite fandoms, so use it! One of the first YA books I read (and reviewed) was Rooftoppers, by Kristine Rundell, and I remember really liking it. Looking back it’s definitely more a middle grade book than young adult, but I loved it all the same. 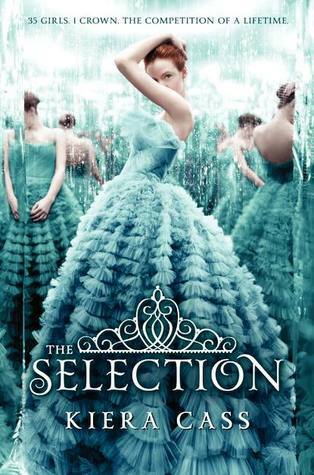 Another good read for the youngsters under us, is the Selection series. I’ve read that series way to many times, and I can’t wait to get my hands on the last part. It’s kind of my guilty pleasure, and was a very popular read in my little sisters friend group a while back. That was the post for today! I hope you bookworms enjoyed reading it, since I’ve thought of way more categories than the ones listed above, so a second installment is coming soon (including the seasoned YA fanatic, The uncle in the midst of his midlife crisis, and your cat). Today I’m not going to write a book review, do a book tag, or even talk about Harry Potter’s excellent character growth. Nope, today I’m going to announce stuff (yay). This isn’t going to be a long blog post, since I don’t have a lot of time and because, quite frankly, announcing stuff is kind of boring. So fasten your seatbelts, and enjoy this extremely fast ride (filled with readathons and Simon vs. goodness)! Okay, this readathon is one of the reasons why I have so little time to write this post, namely, it starts in 2 hours. It turns out I’m pretty bad in announcing things, since I forgot this readathon was happening till ten minutes ago (despite the fact I found out about it and wrote the date in my planner days earlier). I’ve always wanted to participate in a readathon, and this one seemed like the perfect fit, it’s only 24 hours long and seemingly great for newbie’s like me (also, I’m really behind on my Goodreads challenge, so this is a good excuse to catch up). During this readathon I’d like to finish ‘A Thousand Pieces of You’ by Claudia Gray, and maybe start ‘The Raven Boys’ or ‘Winter’ by Marissa Meyer. Anyways, I’m very excited to participate in this readathon and I hope you bookworms will read a long with me (I’m also going to be tweeting stuff during the entire thing, so if you’re interested in that, you can follow me @sophthebookworm). It’s finally here, two glorious weeks of spring break! I’ve really been looking forward to it (duh), and I can’t wait to have more time to blog. So, in order to get myself to actually do stuff and not lie in bed all day, I’m going to try to write 7 blogposts in 14 days! (That must be achievable, right?). Wish me luck! Yup, you’ve read that right, I’m going to meet Becky Albertalli! For those who don’t know, she is the author of Simon vs. the Homo Sapiens Agenda, one of my favorite books of all time. She is coming to a local bookstore for a signing, and I think there is going to be an Oreo bake-off. I’ve never been to an author event-thingy before, and to be honest I’m kind of nervous. I’ll go with one of my friends who has also read the book (and loved it), and I’ll probably be writing a post about the entire thing, so keep your eyes peeled for that. Okay guys, that were all the announcements! I hope you enjoyed reading my first announcement post ever, but now I’ve really got to go, since the readathon is starting in 1 hour and I’ve got to post this quick (this also means there is no time for proof reading, so if you’ve found some horrendous grammar mistakes, you now know why). Have you ever wondered who’d make a better friend, Hermione or Ron? Me neither, so today I decided to do The BFF book tag. I was tagged by Jocelyn over at @52lettersinthealphabet, and I definitely recommend you go and check her blog out! She is a book blogger and besides the regular book reviews she also posts things like tags, and her series ‘Breaking down the trilogy’ which I really enjoyed (if you are looking for an amazing book blogger to follow, you now know where to go!). So, without further ado, let’s get crack lacking. Usually I mention one of my favorite books ever, Simon vs. the Homo Sapiens Agenda, at least once in every blog post I write. I’m trying to constrain myself from answering every question with the same book, so instead of Simon vs., I’m going to answer this question with The Art of Being Normal by Lisa Williamson. I’ve recently read this book and I really liked it, also it has one of the cutest friend groups ever. You wouldn’t ever really expect Essie, Felix and David to befriend each other, but it works. (I almost forgot to mention this, but if I wouldn’t have been allowed to answer with The Art of Being Normal, I’d totally would have gone with the Famous Five series, nobody would help me get out of a tight spot as often Timmy). I’d have loved to grow up with Harriet from the book Geek Girl. She seems like such an awesome and cool person to be around, and she always has little facts to cheer you up (Also I admit I might be a little of a geek myself, so I think Harriet and I would have been a pretty good match). Sloane from Since You’ve Been Gone. According to Morgan Matson, Sloane has an amazing sense of style, and always wears the cutest vintage clothing. That, together with the fact that she seems like a fun friend to have, would make her the best companion for a shopping spree. Ezra from Illuminae, honestly, I’d give anything to hear him say ‘chum’ in real life. I instantly thought of Alice from Simon vs., but because I’m trying really hard not to answer with that particular book right now, I’m gonna go with Puck from the Scorpio Races (sorry for copying you, Jocelyn! 🙂 ). Mother hen: Which character would you want by your side when you’re having a bad day to cheer you up? I’m going to go with Ezra from Illuminae again. Partly because he is such a nice guy, and partly because the scenes in the book with him and the interviewer just crack me up every time. Cress from the Lunar Chronicles, because she seems like a very kind and honest person to me, and because she is pretty in love with love, so I’m sure she could give good relationship advice. Ollie from Everything Everything (and every other male love interest from every YA contemporary novel ever). Who is your book bestie? And who do you think would make a perfect boy/girlfriend? Leave it in the comments down below so we can fangirl over fictional people together! Recently I have really been getting into Goodreads. I started using it to track what I’m reading, as one does, and now I can’t stop. It’s pretty sad, since I only know two other users (BookTubers aside), but still I can’t help myself adding quotes, writing mini reviews, or making my ever growing TBR pile even larger. I was slightly lost as what blog post to write, but then I did a quick search on ‘Goodreads tag’, and tadaaaaa, it exists. The tag isn’t really about Goodreads, it’s more about reading in general, but I decided to do it anyway. So here it is, the Goodreads tag. What’s the last book you’ve marked as Read? What’s the last book you’ve marked as Currently Reading? I am not in the habit of marking books as Currently Reading, but the last book I’ve marked is Pride and Prejudice. What’s the last book you’ve marked as To Be Read? A Madness So Discreet, by Mindy McGinnis. Yes I just wish they would add half’s, because the choice between 3 and 4 stars can be a tough one. Do you participate in the 2016 reading challenge? Yes, but I think I set my goal just slightly too high, since I am permanently 2 books behind, no matter how fast I read. A fictional one, yes. An actual one? I wish (see what I did there 🙂 ). Which book do you plan on buying next? I honestly don’t really know (see previous question), but I am really excited to read the new book by Erin Lange. I don’t have a favorite quote, there are too many! This might sound really pretentious (and it probably is), but I have the habit of memorizing quotes I like, so I know quite a few. But a favorite? I don’t know: Something by Patrick Ness probably. Patrick Ness and Becky Albertalli. The latter has only written one book so I don’t have a way of knowing for sure. But if she can write something as awesome as Simon vs. the Homo Sapiens Agenda, I’m sure she can write anything. Are you in any groups on Goodreads? What could Goodreads do better? I love Goodreads, despite it not being perfect. The most important point for me is the star rating system (come on, Goodreads, everyone wants half stars, why don’t you just add them?). I’d also like to be able to use bold and italic in reviews. I hope you guys enjoyed reading this post! I am not going to tag anyone because, quite honestly, it’s a lot of work trying to figure out who has done it already and who not, and which people don’t like being tagged and so forth. Despite this feel free to do the tag if you’d like to! P.s My username on Goodreads is @sophthebookworm , if you use Goodreads your welcome to leave your username down below so we can add each other!